Rasam tastes very good only with freshly ground powder. But rasam powder can be prepared & stored for a month or so. use dhal water. 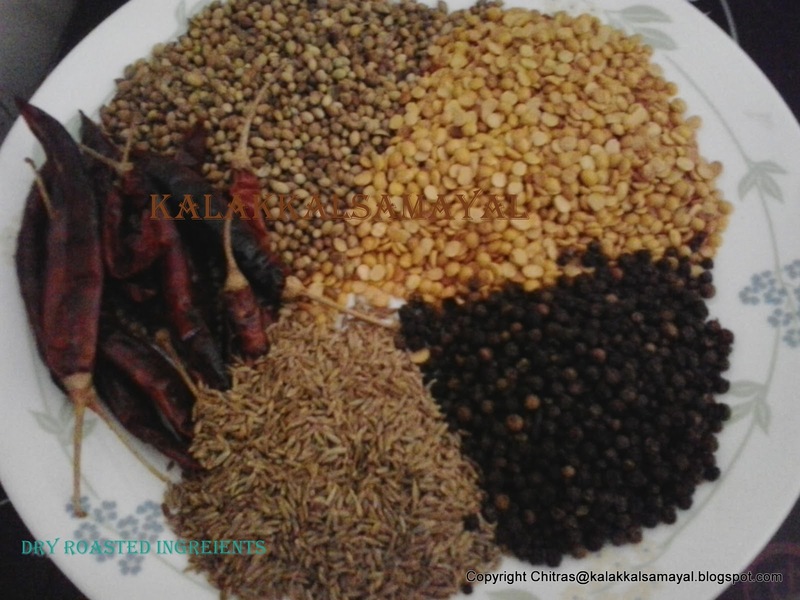 But in Madras rasam we have taken tuvar dhal also to make powder. So dhal water is not needed. Its very easy to make once the powder is prepared. Rasam can be prepared with either tamarind or lemon. 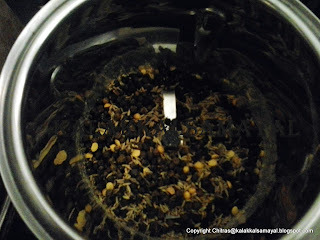 Tamarind rasam can be reheated and stored in fridge for a day or two. But lemon rasam taste is different from tamarind rasam and have to be consumed on the same day. Lemon is squeezed into prepared rasam only after switching off the stove. So it cannot be reheated. Dry roast all the ingredients one by one on a slow flame. Keep stirring for uniform roasting. Cool all the roasted ingredients to room teperature. Transfer the ingredients into a mixie jar and grind well. Mix well the ground powders. Let it cool down to room temperature. 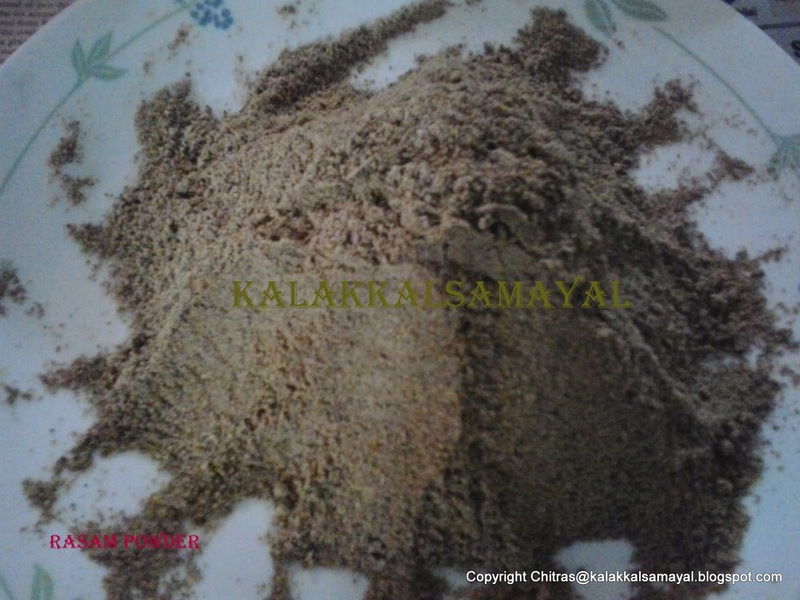 just love the rasam made with this powder..The best part is stays fresh even after 4-5 months.. I use this only here in germany to make rasam, and all my friends just love the rasam I make..